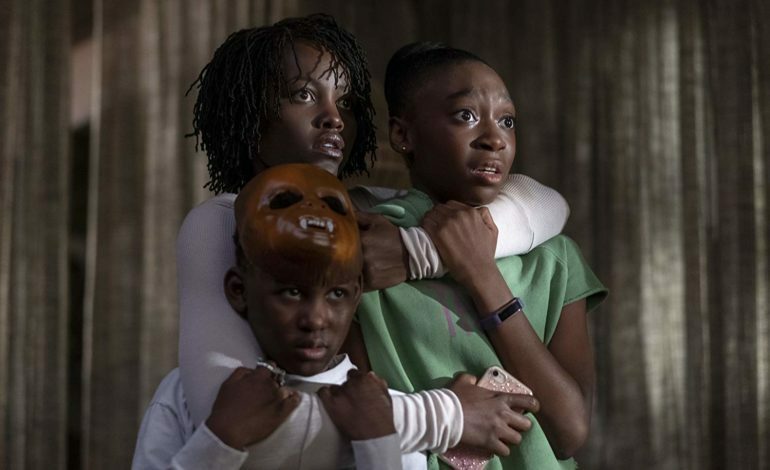 Jordan Peele is back and he has already made a splash in the domestic box office. While it has been over two years since audiences first saw Peele’s debut hit, Get Out, the comedian-gone-director has had no problem attracting crowds. Peele’s new horror feature, Us, is poised to crush the box office expectations with a $45 million to $50 million opening. If Us can maintain the success of its debut, it is likely that the horror feature will overtake the $160 million generated by Captain Marvel in superheroine film’s opening weekend. Peele’s sophomore attempt follows an African American family that becomes terrorized by their menacing doppelgangers. The film stars Lupita Nyong’o and Winston Duke as the heads of family that are driven mad as their life falls into chaos. Us draws from elements of horror, psychological thriller, and comedy to make the exquisite cinematic cocktail only Peele can provide. Us was praised by critics and audiences alike in its premier at the SXSW Film Festival and currently sits at an impeccable 99% on Rotten Tomatoes. Peele’s debut effort, Get Out saw $33.3 opening that eventually turned into an impressive $255 million haul. Get Out also received attention from the Academy Awards and has since become a modern horror classic. Peele looks to top his previous effort with Us, which is already seeing similar acclaim and may look to be the biggest opening in the director’s career. Us will release in domestic theaters on March, 22. This news was first reported by Deadline.